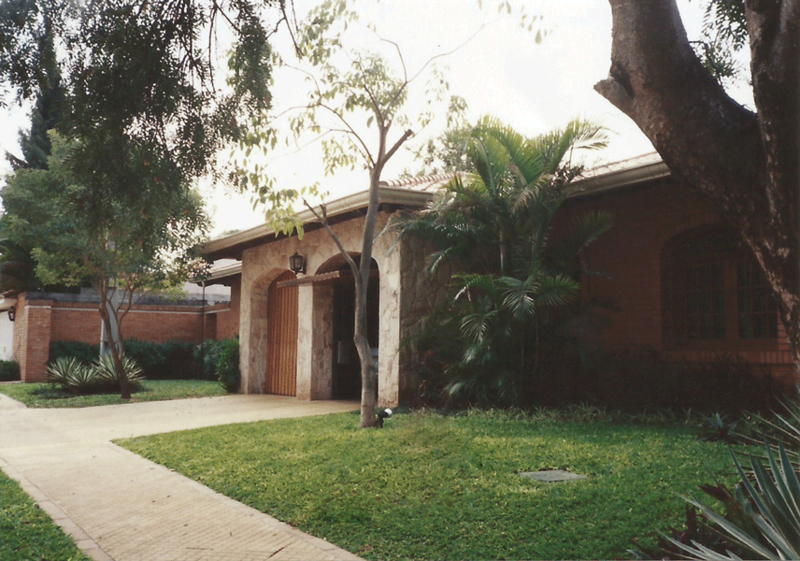 Las Lomas Casa Hotel opened for the first time on October 3rd 2010, but its history began decades earlier. This house has been part of a Paraguayan family’s memories throughout the years, and where they shared beautiful moments together with their relatives and friends. Thus, the owners had the idea to extend an invitation to new local and foreign friends, so that they could enjoy their stay in Asuncion as houseguests, albeit with all the comforts of a hotel. The front of the house in the 90´s. The current neighborhood of Las Lomas, where the hotel is located today, was formerly part of the Barrio Cañisá, which is named after the Spanish immigrants Cañisá. The Cañisá were ancestors of the house’s owners, and founders of two iconic sites in Asuncion that many traditional Paraguayan families will remember: the Cañisá Movie Theater and Deli Market. First a deli market in 1904, in 1920 a bar was added and in 1925 the Movie Theater was inaugurated. The cinema worked from 1925 until the seventies, until the appearance of television. The first railroad in South America had its station in front of the complex. Part of the Movie Theater and Deli Market facade in the 20´s (former Cañisá neighborhood), and later years (current Trinidad neighborhood).